Tara Leigh Willis, M.S., CCC-SLP is a dedicated and passionate pediatric speech-language pathologist providing services to preschool and school age children in the Northern Virginia community. She is accredited with a Masters of Science from East Carolina University, and holds a Virginia state license and Certificate of Clinical Competency from the American Speech-Language Hearing Association. She is certified as an instructor for the Lindamood Phonemic Sequencing (LIPS) reading program. 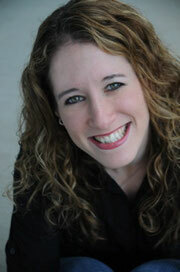 Tara has extensive experience working with children of all ages in both a school and private practice setting. She treats students with learning disabilities, attention deficit disorders, pervasive developmental delays, auditory processing disorders, and reading disorders. 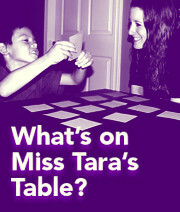 Tara’s clinical areas of expertise include Articulation Impairments, Language Delays and Disorders, Pervasive Developmental Disorders/Autism/Aspergers, Phonemic awareness, Decoding and Comprehension weaknesses, Literacy Development and Receptive and Expressive Language Delays. Treatment focuses on an individualized plan to improve ability, learn new strategies and gain independence so that your child can use communication skills more effectively on an everyday basis. Services include collaboration with school-based professionals, other private therapists, and caregivers to create a consistent and clearly defined treatment approach.